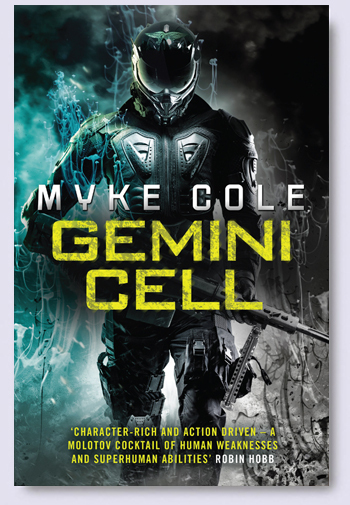 Cover Reveal: Myke Cole's GEMINI CELL | Zeno Agency Ltd.
GEMINI CELL is the latest novel by critically-acclaimed military fantasy author Myke Cole. Set before the events of his first trilogy, Shadow Ops, it promises to offer readers a look at when magic first returned to the world. GEMINI CELL is due to be published in the UK by Headline, on February 12th, 2015. US Navy SEAL Jim Schweitzer is a fierce warrior and consummate professional. When he sees something he shouldn’t on a covert mission gone wrong, he finds himself – and his family – in the crosshairs. Zeno represents Myke Cole in the UK and Commonwealth, on behalf of the JABberwocky Literary Agency in New York.